Sign-up using the form or call us at (212) 496-1630 to make your appointment today! 2121 Broadway, Suite 401A, between 74th and 75th Street, in the same building as the Fairway Market. Patients love the convenience. New York chiropractor Jamie Blau, DC at Upper Westside Chiropractic is one of the best chiropractors in the New York City area specializing in chiropractic care for all ages, and general wellness. We are conveniently located on the West Side of NYC, in the same building as the Fairway Market. We are also located in the same building as the premiere dance studio in New York City - Steps on Broadway, where Broadway dancers and American Ballet Theater and New York City Ballet dancers train. Therefore, we treat many dance and sport related injuries from head to point toe. Dr. Jamie Blau is a chiropractor committed to providing pain relief for many symptoms and conditions so that you can have a higher quality of life. We will take care of your back and spine with gentle, specific, quality chiropractic care. Don't just take our word for it though; visit our testimonials page to see what our patients have to say. Conditions treated successfully by Dr. Blau: Back pain, neck pain, shoulder, arm, elbow, wrist, knee, hip, ankle and foot pain. Muscle strain, whiplash, headaches, migraines, and TMJ pain, are all treated at Upper Westside Chiropractic. As well as arthritis, neuropathy, spinal conditions such as disc herniation, stenosis, spondylothesis, scoliosis pain, kyphosis, poor posture, numbness, tingling, sciatica, piriformis syndrome, and more. We have a special spinal decompression table that is very gentle specifically designed for disc herniations and bulges, spondylolithesis, stenosis and arthritis pain. All of this and more - Just ask! At Upper Westside Chiropractic, you will receive the best care through the use of modern chiropractic techniques and technology. Chiropractic treatment is no longer just an alternative medicine. It is now in the forefront of healing without drugs or surgery, the first line of defense. Dr. Jamie Blau and the staff at Upper Westside Chiropractic have a genuine concern for your well-being and health! Call us today and we can develop a chiropractic plan specific for you. We are also now offering an exciting line of highly absorbable nutritional products. 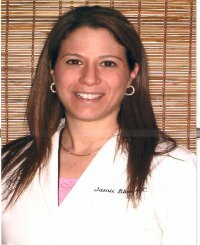 See our website at www.nutrametrix.com/jamieblaudc. On this site, you can find a physical exam questionnaire to complete and find out what supplements you require. Products are available for joint health, general wellness, bone health, immune function, weight loss, and more. If you are new to our website, please browse around to learn about our practice and to discover the wonders of chiropractic and wellness. please email us or call (212) 496-1630 to receive the answers to your questions from our experienced team. We also welcome referrals, so we invite you to share our chiropractic and wellness information with your friends and loved ones. To receive free wellness and health articles subscribe to our bi-weekly newsletter. If you are already a newsletter subscriber, please explore the member wellness section of our website for animated exercise videos, wellness articles, chiropractic resources, and health facts specifically targeted to your wellness needs and interests by Dr. Jamie Blau.